She earned a reported $105 million between June 2016 and June 2017. Beyoncé is the highest earning woman in music for 2017, according to figures acquired by Forbes. The financial publication suggests Beyoncé's pre-tax income for the period between June 2016 and June 2017 was $105m, putting her ahead of fellow high earners Adele ($69m) and 2016's richest woman, Taylor Swift ($44m). 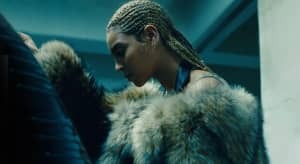 The huge success of Bey album Lemonade, plus the accompanying Formation world tour, aided her rise to the top spot. The same goes for Adele, who released 25 and embarked on her first world tour since 2011 in the period the earnings were taken from. Taylor Swift, meanwhile, was relatively quiet in terms of releases and touring during that time. However, she still managed to secure the third place in this list. The recent arrival of her new album reputation, as well as forthcoming stadium tour dates, may suggest she will return to the number one position in 2018. The list is rounded out with appearances from Celine Dion, Rihanna, J-Lo, and Britney Spears among others. In May Forbes published its list of the richest men in hip-hop, which was topped by Diddy and his reported $820 million net worth.